In pictures — The LAU Libraries in Beirut and Byblos organize video game-themed activities to promote their resources during the 2nd annual Library Open House. 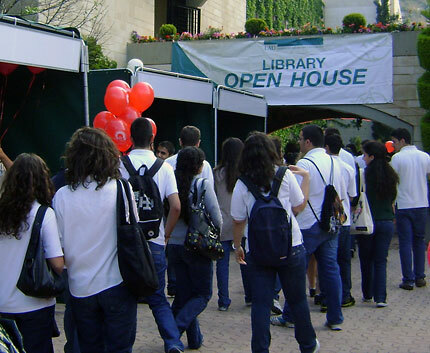 The LAU Libraries in Beirut and Byblos organized a day full of events to promote library services through video games during the second annual Library Open House on May 4. Throughout the day, students were invited to attend presentations by top companies in the video gaming industry such as Microsoft and Apple. 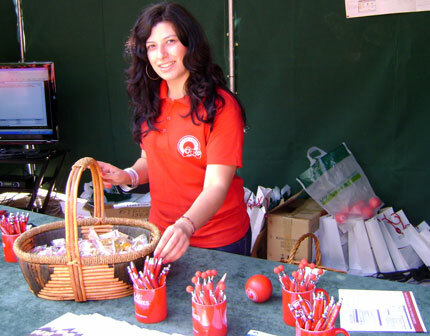 Outside the libraries, stands were set up with games, information and activities to attract passers-by. 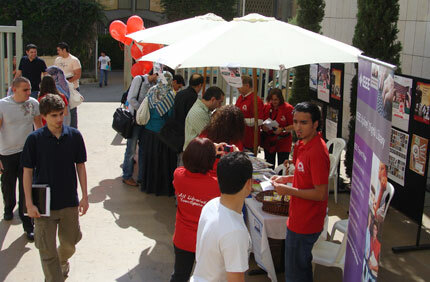 Library staff members set up this stand outside Beirut’s Riyad Nassar Library where they distributed information to LAU community members about the wide range of resources and services often overlooked at the library. 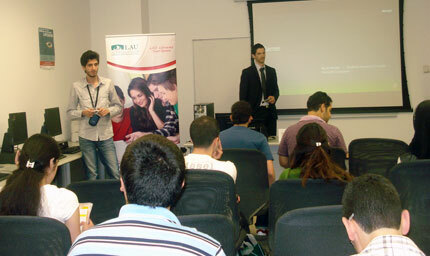 A series of presentations by representatives from the gaming industry headlined the events on both campuses. 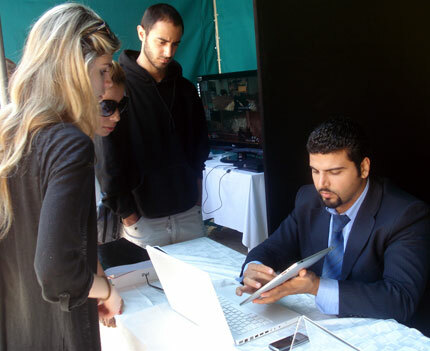 Several stands were also set up outside the Safadi Fine Arts Building where library staff and representatives from the gaming industry met with students. Here, a representative from Apple shows off the company’s new iPad. 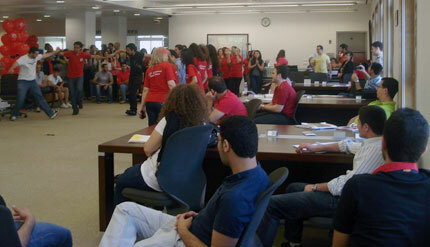 Students dance inside the normally quiet library. “We wanted to show that the library is also a place to have fun,” Habre says. 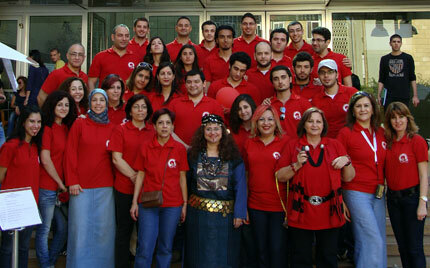 The Beirut library staff pose outside the Business Building. 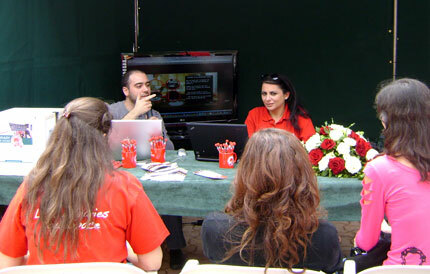 The event in Byblos was nearly identical to the one in Beirut. Here, high schoolers on campus for You@LAU, an activity that coincided with the Library Open House, learn about the services offered at the library while passing through the stands. Grace Edde, administrative assistant at the Byblos Library, says the gaming theme was also chosen to highlight technology. “Everything is becoming electronic,” she says, noting the libraries’ vast collection of electronic books. 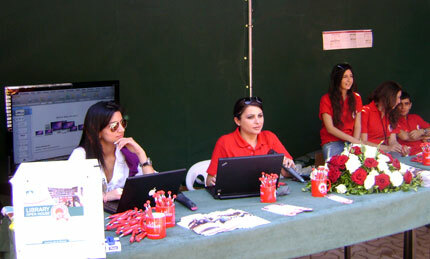 Hundreds of students passed by the booths where they tested the hottest new shooting games. The library staff handed out pens, candy and other freebies throughout the day to passers-by. 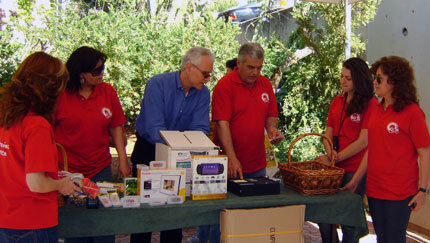 There were also raffles in Beirut and Byblos where students were eligible to win prizes including a Sony eBook reader, digital frame, Logitech wireless mouse, computer desk, desk set, and iPod. 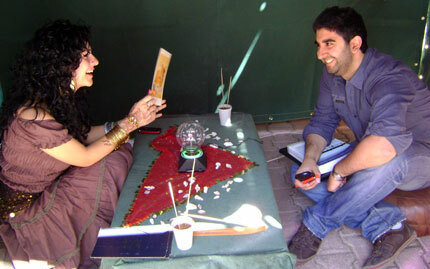 Like in Beirut, the Byblos library dressed up one of its staff members in fortune-teller garment to attract and entertain students. Dr. Mars Semaan (3rd from left), Dean of Students in Byblos, and Joseph Hage (4th from left), director of the Byblos Library, with library staff during the open house.